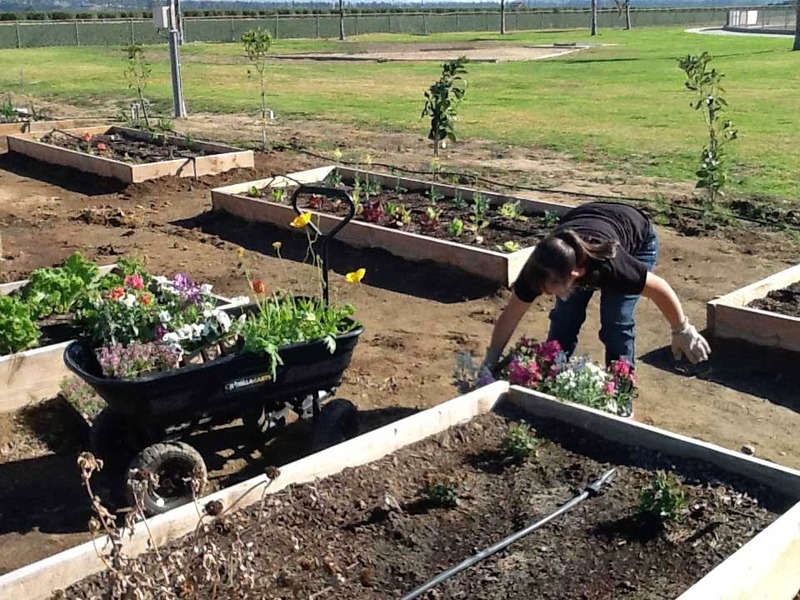 Oxnard's Rio Mesa High School's post-secondary students are seeing their garden grow by leaps and bounds. Due to a relatively mild winter, the garden is already generating flowers. Students are in the process of building additional raised planters in the garden that will contain Agromin soil. The school garden (which stretches 200 feet) received a giant boost when Driscoll's donated two large greenhouses to the program. 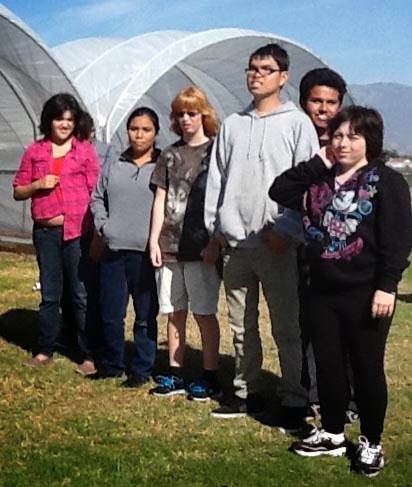 The greenhouses provide opportunities for students to study plant growth in a controlled environment. Irrigation is currently being installed inside the greenhouses. It looks like students are headed for a bumper crop with plenty of fresh flowers, vegetables and fruit!